San Diego, CA. (October 21, 2015) – Beal Racing is excited to announce their return to NHRA National Event action with AutoAnything as primary sponsor. The team will compete at the Toyota Nationals at The Strip at Las Vegas Motor Speedway from October 29th through November 1st and at the Auto Club Finals at Auto Club Raceway at Pomona from November 12th through 14th. 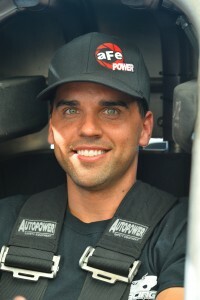 Driving the AutoAnything/Beal Racing nitro funny car will be Chuck’s grandson, Brandon Welch, in his professional debut. The new chapter for Beal Racing comes with a new face at driver and new primary sponsorship from San Diego based AutoAnything, one of America’s fastest growing eCommerce retailers of automotive accessories and performance parts. Associate sponsorship comes from aFe POWER. Brandon Welch, Chuck’s grandson and a 15-year veteran crew member, will make his professional debut looking to play Countdown spoiler. According to Chuck, once Brandon earned his competition license this June, the pieces fell into place. Chuck looks forward to a new chapter for the AutoAnything/Beal Racing nitro funny car at the Toyota Nationals later this month.